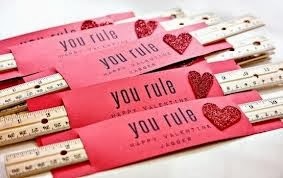 You Rule ~ grab enough rulers for each child in the class. Use craft or scrapbook paper and cut into 6" X 3" rectangles. Cut a slit in the end to thread the ruler in. Before threading, decorate the paper however you wish, thread the ruler and your set. Rolo Pencil ~ A roll of Rolos and enough Hersey Kisses for each child in the class. 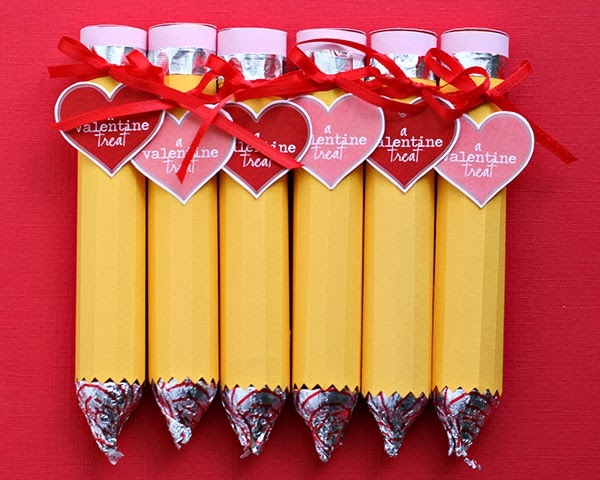 Use Yellow and Pink craft paper and a sliver of tin foil. 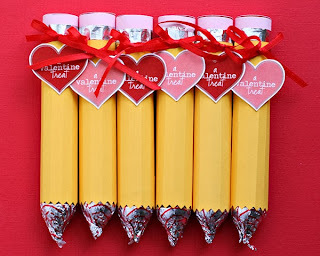 Wrap and glue the paper around the rolos to resemble a pencil, glue on a kiss at the bottom and add a sentiment card. The perfect, edible pencil! 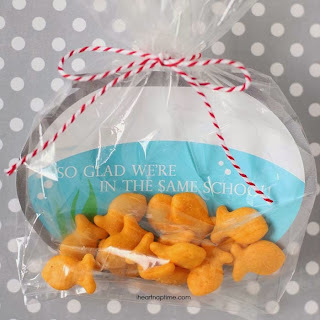 Gold Fish School ~ You will need the big box of gold fish, small baggies for each student in the class, and ribbon. Make a sentiment card to place in each bag, fill with gold fish and tie with a ribbon. 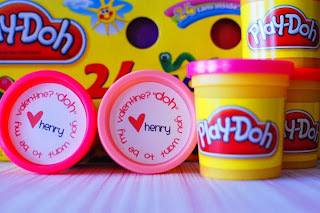 Play-Doh ~ Get enough play-doh for each child. Create a label to fit the top of the container with a sentiment and glue. Cheez It ~ Grab enough small Cheez-It bags for each child in the class. 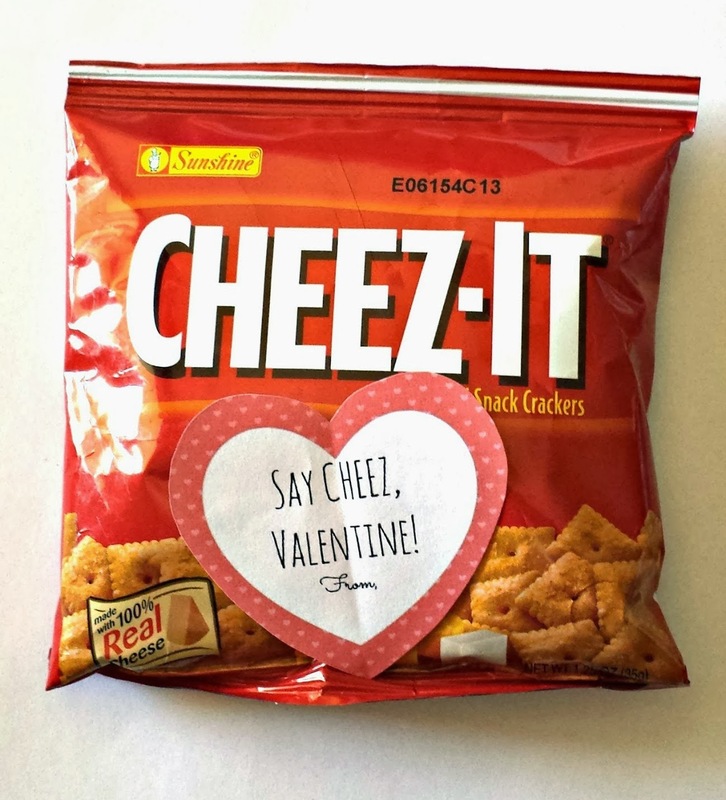 Print or make a heart sentiment and attach to the bag. 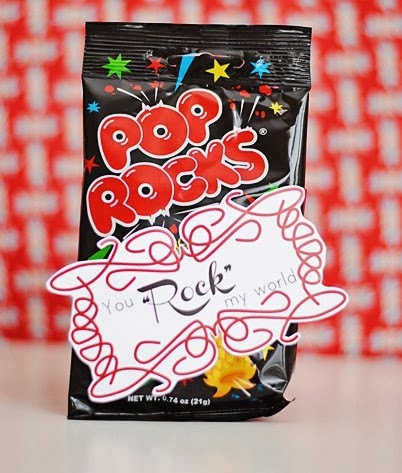 Pop Rocks ~ You will need enough Pop Rocks for each student in the class. Create sentiment to fit the Pop Rocks and glue in place.